I’m writing this article to talk about something I don’t hear people talking about enough. It’s intensely personal for me, but I think it needs to be said. It’s about the frustrations of training and why we punish our dogs. Most animal behavior science points towards positive reinforcement as the “best” way to train animals. By best, I mean that it lacks the risks of learned helplessness, fear, pain, and aggression produced by punitive training techniques. Animals are able to quickly learn what we want from them when we pay them for it. But I’m not writing this article to try to sell you on the idea of positive reinforcement training. All too often, I hear trainers talking about punishment based training techniques as cruel and outdated, only used by sadists and the ignorant. I personally don’t believe that’s true. There are many reasons why we punish our dogs. In my experience, there are two big categories of punishment used by well-meaning owners, either because they’re frustrated or because they think their dog is dominant. Not sadists and the ignorant. Prong collars might be in place due to taught punishment techniques. 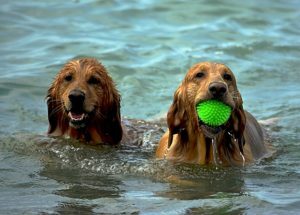 Here, a well-meaning owner follows the advice of the internet or professional trainer and uses punishment in a learned and methodical manner to train – often from balanced dog trainers. Positive punishment based training can work – but it can also lead to fallout. That’s just one of the reasons that I don’t use it or endorse it. 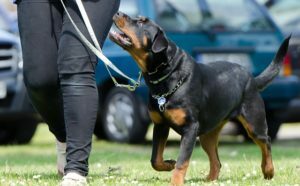 They may or may not feel comfortable with using prong/choke/shock collars, leash corrections, and other punitive techniques to train their dog. They might or might not get results. Who knows if they understand what they’re doing on a technical behavioral level. Many of these owners don’t know what other options exist for dog training. They were told to use a prong collar to fix pulling or a shock collar to teach a dog to come. Why would they do any differently? Here, an also well-meaning owner uses punishment when they’re frustrated with their dog. They probably are getting even worse results because their punishment is emotional instead of methodical. This is the category that I fall into. Yes, me. A professional animal trainer who has never suggested that my clients punish their dogs. Heck, it’s part of my brand that I’ll never ask you to do that. I know better than to lose my temper with my dog. But that does not mean I’m perfect. I slip up every now and again. You don’t have to be perfect in order to be a great trainer. You just need to keep striving for improvement – in yourself and your dog. But dogs can be frustrating. I have treat pouches, clickers, and treats galore. I was never taught that I should punish my dog and frankly I don’t really know how to do it correctly to get results. But there are days where I yell, scream, and cry. There are days where I find myself reaching out to swat my dog in a blinding flash of frustration. And you know what? I don’t think I’m alone. I don’t think I have anger issues. And I don’t think dog trainers talk enough about this aspect of why we punish our dogs. Dealing with demanding dogs, over-excited greeters, reactive dogs, or even dogs that are aggressive towards children can all be exhausting, draining, and frustrating. Owners who fall into this category might “get” positive reinforcement training. I sure as heck do. I spend 60 hours a week working on it in one way or another. But I still struggle to practice what I preach at times. It’s only human (but that doesn’t mean I can’t change it). There are some days that Barley’s enthusiasm drives me up the wall. Whenever I slip up and punish Barley, my sensitive border collie, the guilt is as intense as the frustration. I often cry and slide to the floor, only crying harder as he crawls into my lap and licks my face. He’s scared and trying to appease me, and that makes me feel guiltier. What have I done? Why did I do that to him? I’ve failed my dog. It’s awful. I think this is an aspect of training – and maybe mental health – that needs to come out. There’s no single answer to why we punish our dogs. Not everyone who punishes does it because they were taught incorrectly. They don’t do it because they’re ignorant or evil. Some do it because they’re frustrated or upset or tired or angry. Owners who struggle with reactionary punishment may have a treat pouch on their hip and books like Don’t Shoot The Dog on their shelves already. They might be sold to the idea of positive reinforcement training already – or they might not. But today I want to focus on the former set of owners. The ones who are sold on positive reinforcement, but struggle with frustration. So how does this happen? How does a person like myself who started out training free-flight birds (punishment is notoriously useless here) end up slipping up with punishment? It’s not like I was ever taught to “give corrections” and have never subscribed to alpha or dominance or pack theory. So I don’t need education in the way most trainers provide it. I don’t need convincing. I need more tools in my toolkit. Punishment starts where knowledge ends. This quote changed my life. It came from a podcast episode from Ryan Cartlidge’s Animal Training Academy where he interviewed Louise Ginman. It was a mind-blown sort of moment. If you want your dog to stop barking, screaming “NO!” and swatting him with a newspaper will likely get him to stop in the moment. You might not want to scare or hurt your dog, but you don’t know what else to do. How do I stop my dog from barking? You wonder. In this case, I’d do a few things. I’d try to figure out why the dog is barking. What’s going on that causes the annoying behavior? I’d then reframe the question. Some research on the internet using these questions is much more likely to point you towards positive training techniques. You might not even need a trainer once you reframe the problem (but if you do, I’m here for you). Acknowledging what you don’t know and searching for a better way to solve problems will help you reduce frustration and stay on track as a force-free trainer and owner. This sums up the many of my own training struggles. So yes, I’m a trainer admitting that I don’t know everything. A lack of knowledge is a big reason why we punish our dogs. It’s not always that owners aren’t sold on training techniques. It’s that they don’t know the right exercises, drills, and management techniques to succeed. Punishment is reinforcing for the punisher. This really hit home for me while reading Thinking, Fast and Slow by Daniel Kahneman about his work with longtime partner Amos Tversky. Hang on, this gets technical. 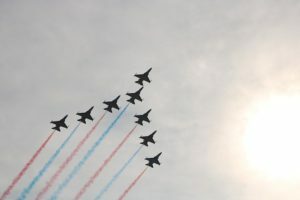 What can fighter pilots teach us about punishment? They discuss the case of Israeli fighter pilot instructors who scold their students after a poor performance. On the next go around, the students do better. The instructors were therefore being rewarded for punishing their students. The psychologists try to get the pilots to use praise instead of scolding to teach – their research showed this was the better way to learn. The instructors returned to the psychologists and explain that when they praise the students, they perform worse the next time around instead of better. This is a tricky concept known as regression to the mean. Imagine this. One in ten performances is nearly perfect, the other nine are less than perfect. So if you praise the one that’s nearly perfect, the next performance is statistically likely to be worse! Punishment does the inverse. Remember, the next performance after an exceptional one (good OR bad) is likely to be closer to “normal.” That means a super-bad performance will likely be followed by a better one. That’s why the fighter pilot instructors thought punishment worked! Your praise or punishment wasn’t the key here – it was the fact that most performances will be unremarkably good (worse than nearly perfect) and unremarkably bad (better than awful). Over time, praise should help increase the 1 in 10 awesome performances to more like 3 in 10 or even 9 in 10! But in the moment, it looks to people unfamiliar with this concept like punishment is working while praise is making things worse. Zoom out to the big picture, and you should see real trendlines. Knowledge: I simply don’t know how to fix the problem I’m dealing with. I often spend hours after my slipups researching how to actually properly address a situation. I talk to other trainers and consult reputable online sources. This comes into play for me with really incessant behaviors – like Barley’s unending fetch mania. We all get frustrated – and dogs can be extra frustrating! Mental State: I’m just plain tired and cranky. Some days, I come home and am just not in a good place mentally for dealing with my irritatingly happy and enthusiastic dog. God help owners who deal with dogs with major behavior issues like reactivity. I love him to death, but his very best traits still piss me off when I’m already in a bad place. This one really can affect me at or right after work, where I spend my days being nail-raked by hyperactive adolescent pit bulls. Speed: The techniques I’m using are not creating results fast enough. This doesn’t happen to me often, but it’s a common one I hear from my clients. For me, my struggle is not when I’m in my zen training mode. It’s when I’m turned off but my dog is still not pretending to be some perfect floor fixture. But for owners struggling with demand barking, leash pulling, or reactivity, it’s easy to get frustrated. Positive reinforcement works – and is faster when you follow some simple guidelines . But training is not instantaneous, and that’s frustrating. There are plenty of reasons why we punish our dogs. And again, it’s not always because we’re ignorant or evil. We just work long days and come home to an exuberant dog. We’re tired, irritated, and that training protocol of “go to your bed” is not working yet. In an instinctive reaction, we knee our dog in the chest when our dog jumps. I get it. We’ve all been there, we just don’t talk about it enough. We talk constantly about impulse control and frustration tolerance in our dogs. But what about in ourselves? I believe a lack of frustration tolerance is why we punish our dogs. I’m still working on this myself. Barley is my first dog and I’ve only been a professional trainer since 2013. Graduating college has been a bumpy ride for me emotionally and I’m still learning a lot. But here’s what I’ve been trying to do to reduce my own frustration in animal training. Meditate, do yoga, get outside, and exercise. If you’re blissed out and zen, it’ll be easier to be patient with your dog. Do whatever you need to do – without your dog. Taking care of yourself makes taking care of your dog much easier. I love the Pacifica app to help with mediation, goal-setting, self-care, and immediate calm down exercises. Avoid frustration with your dog by making yourself feel better overall. Educate yourself on fixing them in yourself and your dog. Know why we punish our dogs! Remember, punishment starts where knowledge ends. Use your failure as a way to learn. What are the antecedents to your own outbursts? Is it when you try to walk your dog before morning coffee and you’re a total zombie? Is it if your dog barks at the door while you’re on the phone? What’s going on when your mind goes blank and you forget everything you know about training? If you know the situations that you struggle with, you can work to manage or avoid them. If it’s specific behaviors that you struggle with, you can also start to educate yourself on how to change them in your dog. Writing out a plan, identifying triggers, and journaling will all help. Use the framework outlined in The Power of Habit by Charles Duhigg. I identify my triggers (Barley barks at the door), my reaction (yelling), and the consequence (Barley stops barking). I decide on a replacement behavior for me. Instead of yelling when Barley barks in order to get him to shut up, I plan to call him to me and engage him with something other than barking. The antecedent and consequence remain the same (Barley barks, Barley stops barking), but my action in the middle changes. Read more on this tactic here. Keep track of the good days. I put faces on the calendar instead of crossing them out. A smile means that I had a good day, and frown is a bad day. At the end of the month, I put this into a spreadsheet and I can see how my daily moods are on the up and up over time. Nerdy, yes. Effective, also yes! It’s hard to see through your own failure or frustration sometimes, but if you keep track as you work to implement fixes, you’ll see the smiley faces add up. Many of my clients keep a training journal for their dogs. That way, they can look back on early sessions and see how far they and their dogs have come! If you get frustrated in the middle of training sessions, take a break. Play tug with your dog, cuddle, or go drink a cup of tea before resuming. If you’re tense, your dog likely knows it. They might not perform their best, which might make you even more frustrated! Almost none of the dogs that I work with in my shelter job walk well on leash. Some pull so hard that I’m sore at the end of work, others take the leash in their jaws and try to play tug. It’s exhausting! I take frequent breaks in between working on dogs at work so that I don’t get too frustrated with any one dog. I also try to work with the toughest dogs of the day first, when my patience reserves are freshest. Enjoy free time with your dog – and accept his quirks. Remember why you brought home your dog? Me, too. I wanted a dog. And dogs fart, eat things they shouldn’t, bark, shed, pull on leash, track mud into the house, chase tiny mammals, and usually have fun doing things we wish they wouldn’t do. Work on fixing the things that bug you, but remember to have fun! Some days I don’t train Barley at all. We just go for a run or hike and play some frisbee. I let him sneak onto the couch and feed him from my plate. He’s a dog, that’s why I love him. Letting loose helps us both reset and shake off any tension from training or perceived failures. Accept your dog for who he is. Strive for improvement in yourself, your dog, and your training. But don’t let that come at the cost of losing track of the love you feel for your dog. Take into account your dog’s history, genetics, and personality to create realistic but ambitious goals. Help improve his motivation by exploring ways to make him want to work for you. The bottom line is, there many reasons why we punish our dogs. For people who feel that they “know better,” the guilt from punishing their dog can be intense. We need to focus on taking care of ourselves so we can take care of our dogs. If you’re struggling with frustration with your dog, feel free to schedule a Skype session with me. I’d be happy to talk to you about your training program, your frustrations, and ways to improve both! Sounds like a pretty solid argument for considering changing training approaches and considering learning to properly execute balanced training methods. Balanced trainers rarely strike out in in frustration. Their corrections are measured, just and specific. In almost every instance such corrections are kinder and milder than any punishment dealt out of frustration, anger. Most balanced trainers use positive reinforcement methods for 90% to 95% of their training. The other 5 to 10 percent is measured and mild. There should be no room for anger and frustration in dog training. It is counter productive at the least, extremely damaging to the handler/dog relationship at the worst. I sometimes wonder if these built up frustrations explain some of the angry responses some force free trainers display against those who choose to train along the balanced path. From all of the modern science I’ve read, “balanced” training is not the best way to train your dog when looking at stress levels and actual results. I never said that balanced trainers succumb to emotional and reactionary punishment. I said that that was a facet of dog ownership we need to discuss so it can be avoided. I reject the idea that punishing my dog in a systematic way would ensure that I never got irritated with him again. I’m sticking to my habit change frameworks and working towards being a lot more “zen” in my life. No punishment for me, thanks. There is a falsehood pushed by biased individuals that science has identified so called force free training as superior to balanced approaches. That myth uses emotion to help feed it and frequently paints balanced trainers as using abusive force, of alpha rolling their dogs and treating their animals with anything but understanding and kindness. That is not at all true. “Punishment” in the behavioral vernacular, and you should know this, does not equate to pain, or cruelty. “Punishment” is anything that decreases the likelihood of a behavior being repeated. That could be something as non-physical as the word “no” to a gentle leach correction. However, I really don’t care how you choose to train your dog. I will, however, admit some concern if you allow anger and emotion to cause you to lash out at your dog. My suggestion to consider at least learning more about a balanced approach was with the thought that doing so might at least give you insight into more appropriate responses if and when you become frustrated with your dog again. Knowledge is power. Learning about other approaches can’t hurt, even if you never apply them. Saying using punishment isn’t scientific goes directly counter to Skinner, the father of Operant Conditioning. There are four quadrants which Skinner used, and which became the foundation of learning theory. Not to mention, all available studies on prong/e collar training are done observing correction based training which is not balanced training and runs contrary to what most balanced trainers believe. It also null and voids all research on a dog behavioral response and impact of the tool when it comes to balanced training because that’s simply not how the tools are used in this methodology. This means there’s no scientific basis for saying that training that includes punishment is anymore stressful than training that does involve punishment. Find a study that outlines how Krohn, Gellman, O’Sean, Babalovnov and other balanced trainers use punishment and then you can talk about whether or not it has a negative impact on the dog. Until then, there’s not a leg to stand on saying it’s not scientific. You’re absolutely right that punishment DOES have a basis in behavior control and therefore in training. It’s imperative for trainers to understand all 4 quadrants of operant conditioning. It’s also imperative to understand the potential drawbacks of punishment for our dogs. By definition IGNORANCE does fit if you are punishing your dogs and following Cesar Milan. Yes, ppl who force train dogs ARE ignorant. You’re correct, I suppose a better way to say it would have been that people are doing the best they can with the information that they have. They don’t know what they don’t know. I know some people will disagree with that sentiment, but I have to tell myself this or I’ll drive myself crazy. Or you could just learn how to the dog when he barks and put an end to the doorbell barking. Punishment does not have to be abusive–in fact, it should NOT be. Emotion should not be a part of it at all. If it gets to that point and is the problem you say it is, then one has to ask if the problem is with the person or with the FF mindset of not correcting the behavior. And it is arguably far more aversive, even abusive, to choose this approach over just fixing the issue and moving on. I actually am advocating teaching the dog to do something instead. And I’m not saying that all punishment is abusive. I broke punishment down into two categories, and focused on the emotional side of punishment. My goal is to explore that and help people work through to becoming better pet owners and AVOIDING the emotional side of punishment – ideally abandoning punishment altogether for science-based positive reinforcement training. But I have to ask whether the science-based positive reinforcement training is WORKING. Respectfully, you said your dog barks at the doorbell and doesn’t walk nicely on a leash half the time. If, at the same time, you’re losing your temper because the “training the dog what to do” isn’t working–then it leads to some pretty big questions for me. In any case, like Bob above, I don’t care how you train. It’s none of my business, though I do think there’s an ethical obligation to clients that may not being met here. I wish you the best of luck. Thanks for taking so much time to read through my blog. You’ve made a very good point that my dog still has problem behaviors! I think that the science-based positive reinforcement IS working – but my dog is very new to my family and I come home some days with no energy to train after I come home from work. It’s an excuse, I know. I get lazy and let him go on with some “problem” behaviors that are less problematic than others (like counter-surfing and growling at strangers, two things that I have nearly totally replaced in Barley’s behavior). 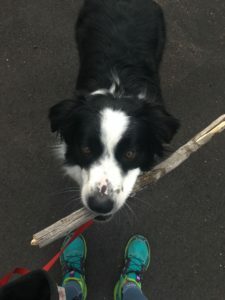 I hope that clients (and others) can read this post as an honest discussion of frustration in dog training. I hope that they can take the lessons that I’m working through and make themselves better trainers. Thanks again. Taking your anger out on your dog is one of the worst things you can do but sadly with the adherence to an unrealistic force-free ideology, it happens too often when people get frustrated. And I consider this to be abuse. Any corrections given must be fair without anger or fear – corrections don’t involve hitting, yelling, kicking etc like some people claim. I’ve hardly needed to use them at all. I’ve used a correction less than 1% of the time and never anything harsh. Anyone who loses their temper with their dogs needs to get help for themselves and reevaluate their idealogy. Frustration is distressing for the dog and the handler. The force-free ideology is toxic in my opinion – it’s fueled by fear, guilt and shame. I totally agree that taking anger out is awful, and I also think force-free can be unrealistic for your average owner – but that doesn’t mean we shouldn’t strive for improvement. I’ve compiled a literature kit of peer-reviewed scientific articles on the subject if you’re interested. I enjoy science and have a science degree. However, I’ve seen plenty of pseudoscience that hardly qualifies as science to push agendas in the dog training world. It seems you’re really struggling. You are a professional dog trainer yet your own dog has common issues such as pulling on a leash, barking, overenthusiastic greetings? Thanks for your concern. Do you have resources (books, websites) that I should check out for both of those key points? The reality is that I’ve owned my dog for just a few short months. He’s doing very well with the training that I prioritize, and my clients/boss/coworkers will tell you that I’m doing just fine in my professional training. The best balanced trainers I’ve seen are rewards-based. They use mostly positive reinforcement. 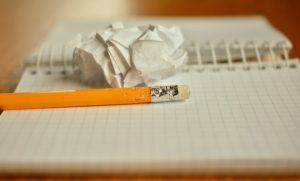 They will use corrections fairly and without frustration, anger or fear – some pressure and discomfort early on rather than waiting for a disaster pretty much. My philosophy is LIMA – least aversive minimally aversive. I use corrections very sparingly but when I do use them I typically only need one and it doesn’t involve hurting the dog. I’m disillusioned with force-free (only believed it for about a month before seeing how cult-like it is). Rewards-based balanced trainers like Tyler Muto make more sense to me even though I use less pressure myself. But then I don’t rehab aggressive dogs, other than one of my own who had fear aggression and other issues. I am not a pro trainer but I have managed to train and rehab dogs to a higher level than many people who call themselves pros. I have yet to see any force-free trainers successfully rehab aggression and even do every day stuff like stop dogs lunging at the end of the leash, have dogs trained off-leash in highly distracting environments (eg busy parks with people and other dogs). So I can’t take it seriously. The term “shock collars” shows how little you know about them and how bias you are towards them. Go find me a collar that has “shock” on the box. I’m just using the terminology used by the scientists in the paper. I’d love to see some scientific research that supports punishment instead of positive reinforcement. Discourse is how we grow and learn. I find it very difficult to believe that the balanced trainers commenting never become frustrated and take it out on the dog, especially with my experience working firsthand with trainers who mix aversive with reward. But anyway, I have seen very stressful and emotional conditions created by trainers who are implementing systematic, timed corrections, or using pressure/release. We know that not all balanced training is overt abuse – but that doesn’t negate or diminish the fallout & negative side effects that still ride along with the application of aversive control, even when it is ‘used correctly’. The scientific. evidence tells us this. I have DRIs for myself if I ever feel tempted to slip back to harsh methods (and my idea of harsh would actually be soft in the eyes of some trainers; when aversive-friendly people get harsh, the escalation is more painful, frightening and severe… *from my experience, I add) in the moment. But everyone is human, and as such I am no more perfect than anyone else! When I am mentally fragile is when I am most likely to give a leash pop/or other mild +P (but immediately I feel bad about it, especially with how my dogs react – it is a breach of trust). But my soft relapse to +P doesn’t come close to some ‘appropriate’ prong collar jerks I’ve seen. An aversive has to be strong in order to reduce behaviour, so they always need to be unpleasant enough for the dog and the situation. ‘Unpleasant enough’ could ‘need’ to be downright painful. The point is making an effort to minimise methods that, even when executed ‘properly’ or used ‘appropriately’, alter behaviour through fear, avoidance and discomfort. There are many nasty side effects – a whole other topic – and the answer isn’t to learn how to EFFECTIVELY punish. We (as reward based trainers) don’t want to, or need to, do it at all. But our culture has installed ‘the need to reprimand’ deeply in us, something difficult to unlearn! Especially for those of us who are crossover trainers (after all, behaviour that is rehearsed is likely to be repeated). It’s all a learning process, and we are all striving to improve our application of reward based methods, and minimise the instances where we fall back on punishment. In addition, many commenters are focusing on solely operant conditioning terms and results. But what about Pavlov on your shoulder? I think it is much more abusive to add extra negative, fearful associations to a trigger the dog dislikes by correcting them for expressing that they are unhappy. In fact, I personally think it’s horrendous. The ‘FF is abuse’ sentiment is rather amusing to me, as we seek to modify animal behaviour through manipulation of the environment and access to rewards/reinforcement, which has accomplished incredible feats across a variety of species – not just dogs, and the fallout of this gets about as bad as ‘rewarding the wrong thing’. A badly timed correction can lead to phobias or reactivity! The balanced training method is unpredictable (will something nice happen? Or am I going to get a jerk on my neck again?) for the animal – which IS stressful, as control over their environment gives a huge sense of stability for animals, and it is negligent to consider other associations and emotions created with every ‘proper’ correction. All in all, I have worked with dogs with existing fears, and undoing it is a PITA. I would rather not risk installing fear through the methods I choose. Occasionally reverting to punitive behaviours is not ideal, but it’s much better than continuing to use them intentionally and regularly. Thanks so much for taking the time to write such a long and well-thought-out response to this paper. I think you’ve really nicely captured a lot in your comment! Total misperceptions there. What scientific evidence shows us that aversives cause fallout even when used correctly ? They happen daily, from variety of sources. If we never experienced aversives, we would be pansies basically. It, and stress, creates more resilience. An aversive does NOT have to be strong to reduce behavior. There are so many things that are parroted, that nobody questions as truth! There’s no fallout from reward based methods? Sure there is! Applied wrong, I have seen aggression reinforced and increased. From a good trainer, too. Misapplied, or not perfectly applied even, you can and usually do get impulse control issues, and pushy behavior. So let’s not pretend that it’s all well and fine, no harm no foul. And dogs are resilient, too, a misplaced correction isn’t going to make every dog crumble into a puddle. It is NOT unpredictable, in fact, the dog is very secure because they CAN predict clear consequences that is clearly linked to their behavioral choices. It’s just as empowering to know how to avoid something they don’t want. It’s not all avoiding out of “fear, pain”, at all. The dog is taught HOW to avoid it, and “it” isn’t necessarily strong, let alone harsh. I’d argue with Pavlov on your shoulder, you can condition in some heavily unwanted behaviors using +R, as well as frustration..which isn’t very positive for learner or teacher. Rewarding the wrong thing can also have the same (or similar) fallout too. You’re trying to counter condition your reactive dog, but have bad timing. So you end up rewarding your dog when it’s reacting. Reinforcing the reactive behavior, so now the reactivity is worse or more instilled than before. Uh, I would not say that’s a problem with the balanced training method but bad training in general. (I wouldn’t even say balanced training is one particular method, it’s a mix of many just like FF or “positve only” trainers don’t often just use one method either.) Truly good balanced trainers utilize many methods, many of which FF/”positive only” trainers use as well. I feel like that’s often a forgotten point (many balanced trainers also use positive reinforcement, counter conditioning, etc.). Whether your dog is rewarded or corrected should not be something that’s unpredictable to the dog. If it is, then I think the trainer needs to re-evaluate their training. If you’re correctly combining rewards and corrections, then if anything you’re making it clearer to the dog what you want. Your making their choice easier. “Some people, especially trainers, think that because they have added positive reinforcement to their corrections and correction collars that they are more gentle and somehow “better.” Don’t get me wrong, I love that people are open to using food and toys. Wonderful. Great. However, an animal’s ability to predict and have the perception of control over things that happen to them is what gives them a sense of calm and stability. When a dog is sometimes getting food and sometimes corrected, it leads to unpredictability. The inability to control things is what leads to significant behavioural fallout. My main point being that an “all quadrant” approach may be sold as using all the tools in a toolkit. However, if a dog is getting mixed messages, as usually happens, that just messes the dog up. For example, a dog is being reinforced for walking nicely around people. They may start to develop a positive association to strangers. But then, they pull to that stranger and get pinched with a prong collar. That very likely creates a negative association. So the dog isn’t just learning to walk nice. The dog is learning that sometimes when you see strangers good things happen and sometimes bad things. Strangers are bloody unpredictable and thus very concerning. Very similar things happen when people do classical conditioning to strangers/dogs, and then the dog gets shocked on an electric fence as they approach passing strangers/dogs. Strangers/dogs are unpredictable. It happens when dogs are being reinforced for not jumping on people and then corrected for pulling to people. A trainer doing such things is likely to say, “But the correction is for the behaviour.” Doesn’t matter. Associations are tied to skills – intertwined. When using physical discomfort and pain, the brain is wired to look for a reason in the environment to explain it. Which is why wonky negative associations from corrections usually form to what the dog was looking at during the correction. When we only teach an alternative behaviour, then all we are doing is adding another behaviour to the dogs repertoire of learnt behaviours. We are not ‘inhibiting’ any. When a trigger is presented, the dog will always choose the behaviour that is self-rewarding for the dog. We, therefore, cannot guarantee that the dog will always choose the alternative behaviour. And this is where frustration appears for most force-free or positive-only trainers. A dog that learns to make clear choices, due to understanding what behaviours to ‘avoid’, is a dog that is less likely to frustrate its trainer/owner. This emotive based agenda is not doing our dogs or their owners any favours… Social animals have been using positive punishment for millions of years. Without it social groups would fall into chaos. Positive punishment is a natural way for an animal to learn what to avoid. To suggest that it is unethical or abusive is telling mother nature she has had it wrong since the time dinosaurs walked the earth…. You state you have had your dog for a couple of months, and yet you are still getting frustrated due to simple to deal with behavioural issues such as lead pulling etc.. This must tell you something about your methods, and why dog owners that follow this ideology you promote do get frustrated with their dog. I’ve found that the key to teaching an alternate behavior successfully is making sure it’s got a good enough reinforcement history (by lots of repetition with high-value rewards). Many dogs CAN successfully learn to replace instinctive/self-rewarding behaviors if the trainer is careful to give them other options. That say, I 100% agree that punishment is natural for social animals and an unavoidable reality of life. I just don’t push it forward as a learning or teaching mechanism due to the potential fallout. I will always chose to work on my own frustration tolerance and be a better owner and trainer, instead of choosing to resort to punishment. In my opinion, you are allowing emotion to override logic. I find that most positive-only and force-free trainers tend to be overly emotional, and this accounts for why so many also suffer the emotional breakdowns you admit too. I agree that I’m emotional, and I’m working to improve that in myself and my training. Do you have suggestions for tips and tricks to add to my article? If your training method is so ineffective that you regularly hit your dog out of frustration and anger you might want to reconsider your training method. I never took it out on my dog fortunately, but PP/FF training left me a wreck having panic attacks in the street and sitting in the snow on the sidewalk crying because I couldn’t control my dog. I know that this training theory doesn’t work and it doesn’t surprise me at all to read that you get so frustrated with your dog. 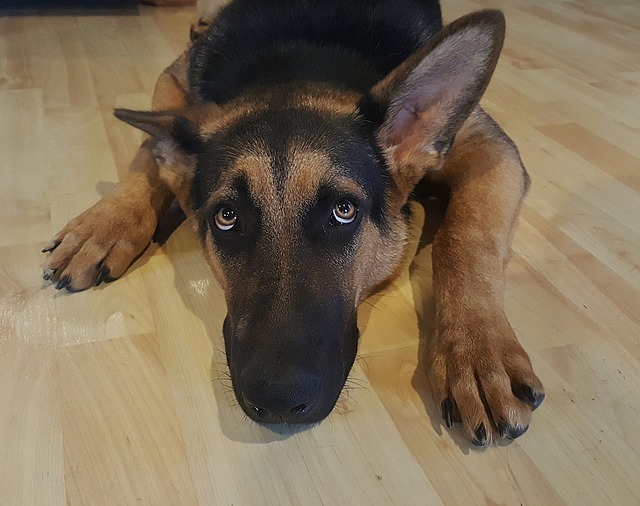 The idea that balanced training and timed, controlled corrections are the same as lashing out at your dog emotionally are the same thing is laughable. There is no emotionality in a correction, it’s a simple, neutral, quick “no” that the dog can understand without confusion. This is a few months after the fact, but I just wanted to say thank you for writing this. It really resonated with me and made me feel better about my shortcomings as a trainer (and a human). Reading through all of these comments was disheartening… So many people took this article as a personal attack on their methods, and it’s clearly not meant to be that. I’m proud of you for staying above the pettiness and remaining reasonable and professional :). Anyway, as a new owner of a very reactive dog, thank you again for reminding me that it’s okay for me and my dog to not be perfect. We’re working on it every day, and that’s what matters. It’s never too late to send along such nice words. I’m sorry that your dog is so reactive – it’s SO frustrating and exhausting. 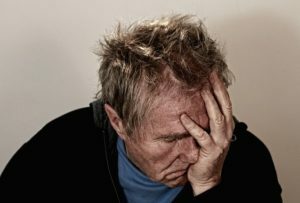 I’m glad you found the post helpful – it’s hard subject to write and talk about publicly, but I really believe everyone can benefit from learning more about dealing with their own frustrations better. Best of luck to you and your dog! Pingback: Stop the Bloodshed: 4 Steps to Stop Parrot Biting Now! What would you suggest someone do if their dog jumps up on people? If you ignore the behavior, and the dog stops jumping, is this considered negative punishment as you are withholding something the dog desires (your attention), in order to decrease a certain behavior? How would you stop a dog jumping up using positive reinforcement? Hi Lulu! That’s a great question. When dogs are jumping in the moment, I generally respond by withholding attention. This could be negative reinforcement IF the dog already had your attention. And I’m actually OK with negative punishment in some circumstances (jumping and barking come to mind). To actually fix the behavior, I’d then come back and teach the dog an alternative behavior (like sit) using treats or toys. Then I’d gradually introduce that cue (sit) to exciting and distracting situations until the dog can comply with the cue sit in an exciting situation (like someone at the door). In the meantime, I’d continue not giving the dog attention and work to set up meetings so that they’re less exciting for the dog (often meeting people outside after a walk works better than having guests come right inside).